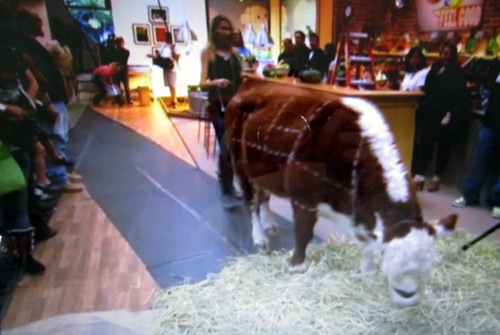 Last week one of my daily cows appeared in a preview for the new season of the ABC show “Food Revolution” with Jamie Oliver. The episode aired live a few days ago and I got a chance to watch it today. 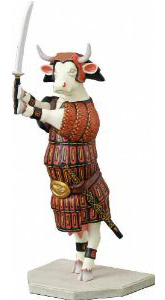 I was curious to find out why Oliver would have a cow on his show and I find out he gave this cow got its 15 minutes of fame, in a special way. 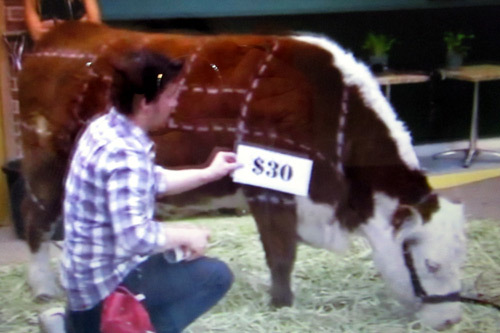 Jamie Oliver brought this cow as a prop to show his audience how much each cut of meat costs. Look at him pricing out a piece of the poor cow. Jamie Oliver went on to explain that the U.S. FDA allows the beef industry and therefore public schools to use something called “pink slime” as burger meat. I won’t go into the details of how you make pink slime but Oliver’s demonstration is worth watching if you want to become an educated meat shopper and meat eater. People in the audience looked nauseous at times and I did too. The whole process and live demo is, let’s just say very, very gross… I suggest you watch this Jamie Oliver video (about 12 minutes into the show). What’s interesting about this specific episode is that Oliver failed to collaborate with the Los Angeles school lunch program and help create healthier lunches. Even with his own celebrity clout and that of co-producer Ryan Seacrest, who happens to hold the #1 morning radio show in L.A., Oliver couldn’t get past one single person – the L.A. school superintendent. This man, who shows more concern for his own paycheck and status than any of the Los Angeles kids, refused to give Oliver access to the school kitchens. I really hope many L.A. parents watched this show and will decide to put pressure on this pompous bureaucrat to allow Jamie Oliver to bring the Food Revolution to their school cafeterias. I encourage you to view Jamie Oliver’s Food Revolution about the L.A. school lunch system. 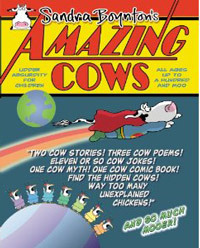 The cow first appears 10:40 minutes into the show (second segment). Previous Post What goes with condors? Cow skulls of course! Next Post Cows hang out at train stations, even fake cows!